We have heard a lot about 3D printing and its influence on prosthetic devices, which can benefit from additive manufacturing in two ways – design and reduction of costs. But there are a number of other ways in which 3D printing can influence “smart” prosthetics and lead them to a new generation of connected devices. Previously we have seen how bionic (or robotic) limbs dramatically affected the lives of people who either were born without them or lost them because of some severe trauma. But it is too costly to get such limbs, and they were mainly used by laboratories to demonstrate the technology or for research purposes. 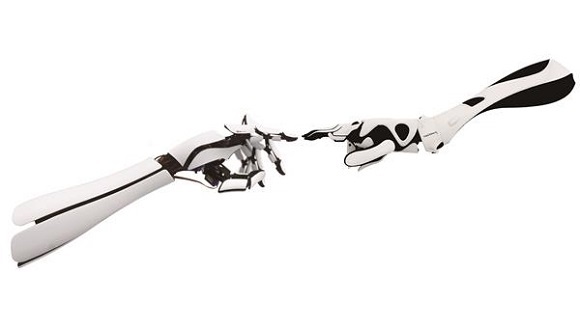 In this respect a Japan-based company has been trying to develop a design of a revolutionary bionic hand that will be offered at less than $300 to create – in fact it’s less than the cost of traditionally developed prosthetics. 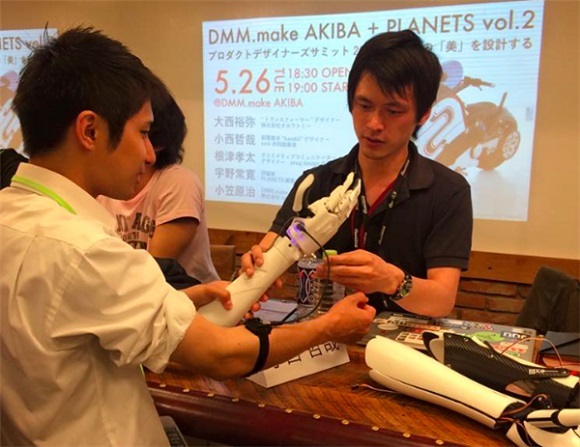 It took Exiii – Japanese company – more than two years to develop the bionic prosthetic of top quality. They were even rewarded the first prize during Gugen Hardware Contest and ranked second in the 2013 James Dyson Award, the hand still being developed. 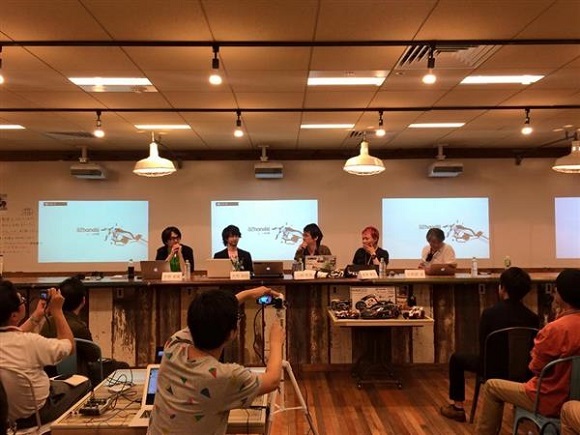 Exiii is made up of Gentu Kondo, Hiroshi Yamaura, Tetsuya Konishi and by Akira Morikawa, all of them being graduates from Sony’s manufacturing industry. They have finished with the first pattern of the Open Source HACKberry bionic hand and have recently revealed all the design files online, so that everyone could use them to develop their bionic hands with their own 3D printers and some common hardware, even an existing smartphone for the in-built computer. 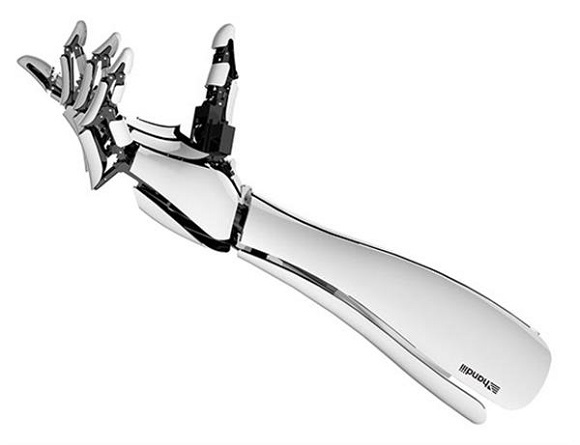 If we compare the two bionic hands – the Handii and the HACKberry – we may notice that the latter possesses a couple of design features that make it easier for the majority of users to operate it. Among these features we can name more flexible joints (which mean expressive movements), a slimmer option for females and the possibility to work with digital camera batteries. Surely the team of designers hopes that others will work to add on those features and improve the functions and the design of the Open Source hand. 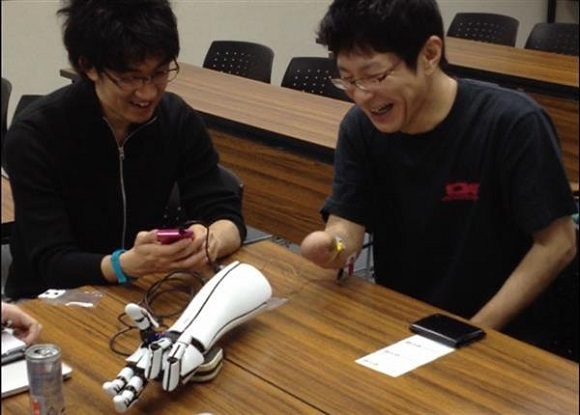 They are going to make the design data of the HACKberry announced (the fresh version of the 3D printed prosthetic) to speed up the development by having cooperators from all over the globe. They also suppose that cooperators will make the hands available in the places that the team can’t reach because of distance or other difficulties. The team sticks to the Open Source values. They even called the hand HACKberry, which is symbolic: the same name is used for a special variety of elm tree that has many branches. In such a way they show that their hand will come in numerous designs and posses many applications. So far the team has uploaded all their design files on the GitHub page. There is a source code there for the software with all the required hardware 3D printing files and the sensor data. Yet one thing is sure – this talented team has done a lot to study and produce more profound 3D printing hands. Thanks to them in future such hands will be rather cheap to produce and will become more available for those who need them urgently.